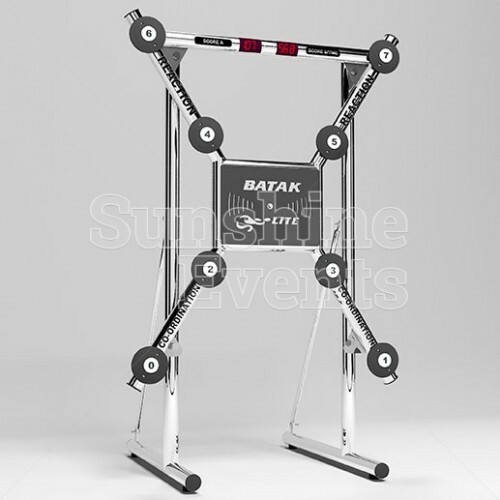 Whilst the Batak Pro offers hours of endless fun, sometimes you need something a little more compact for your venue: enter the Batak Lite! 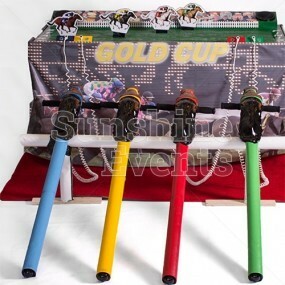 Featuring 8 light-up buttons, this space saving entertainment will still give your guests a challenge as they dart back and forth in their attempt to extinguish all the lights. 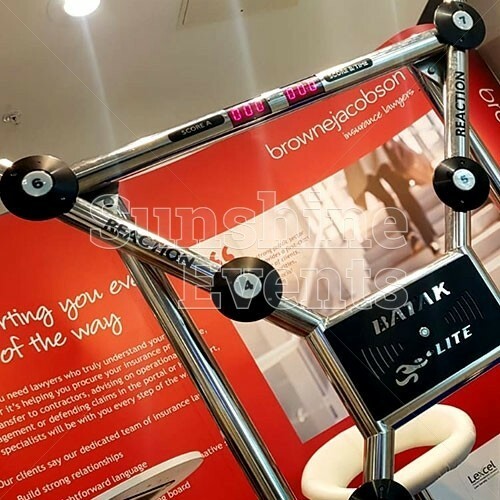 Much like the Batak Pro, the Lite version can be easily branded using a printed foamex backboard designed to promote your idea, company or brand. 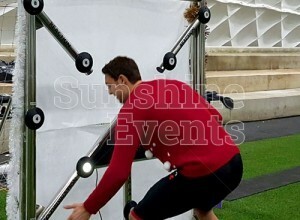 You can be sure that players will take in the image that you’re trying to convey as they frantically zig-zag about, trying to complete the intensive reflex-testing game. 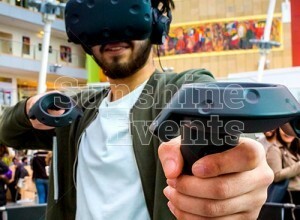 You can set the timer to 30 or 60 seconds, or use one of the preset programs, to bamboozle players. 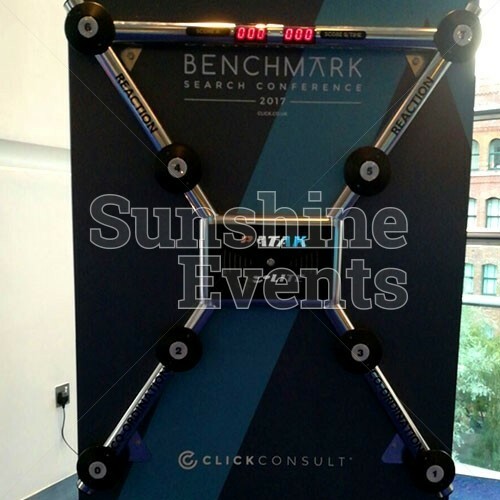 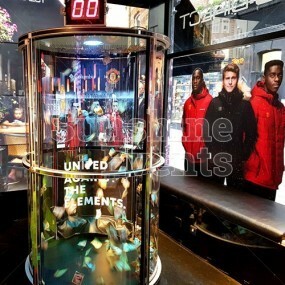 Scores are registered via the light-up display, so if you wish to run the Batak Lite as a competition throughout your event, you can record scores and even display them on the optional Magnetic Score Tower - just like in Top Gear! 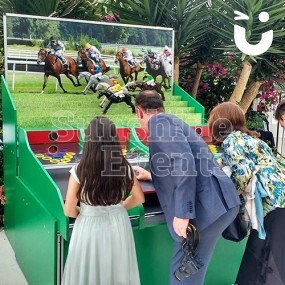 And there’s always a chance to better your score as players will be coming back time and again! 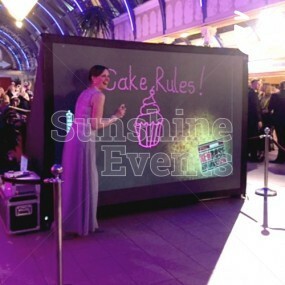 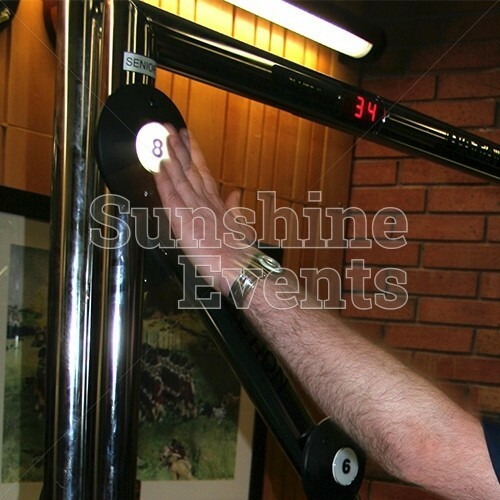 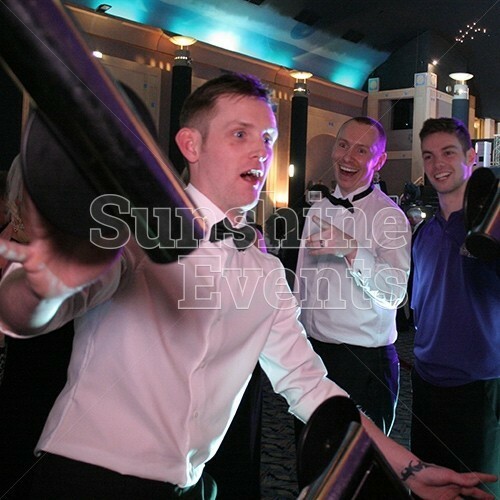 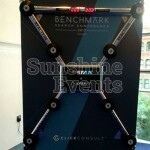 What events are the Batak Lite Hire suitable for? 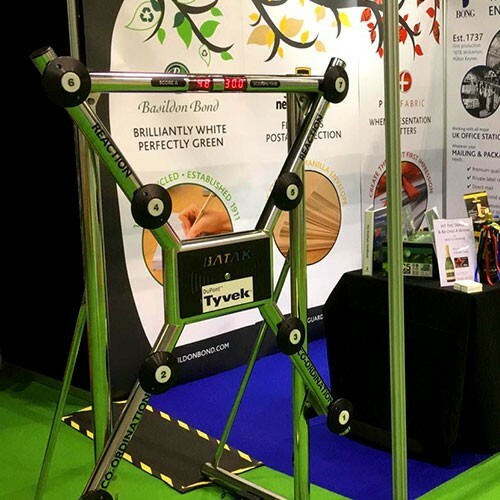 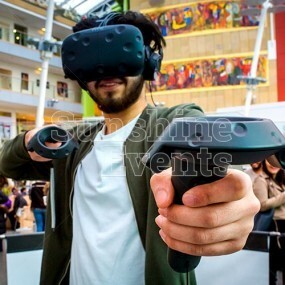 Hit the target and you’ll be onto a winner with the Batak Lite - the high-energy reaction game sure to stand out at your event! 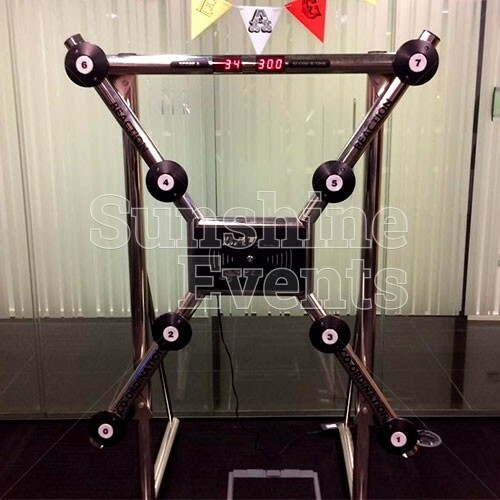 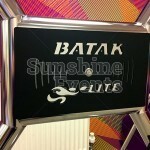 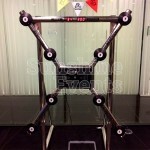 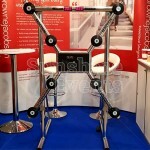 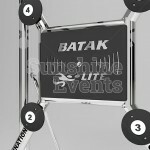 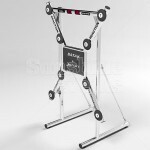 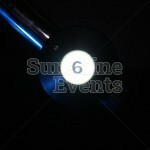 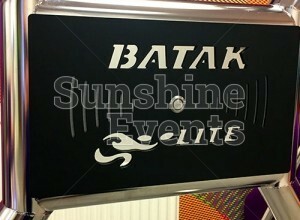 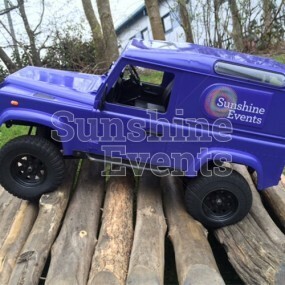 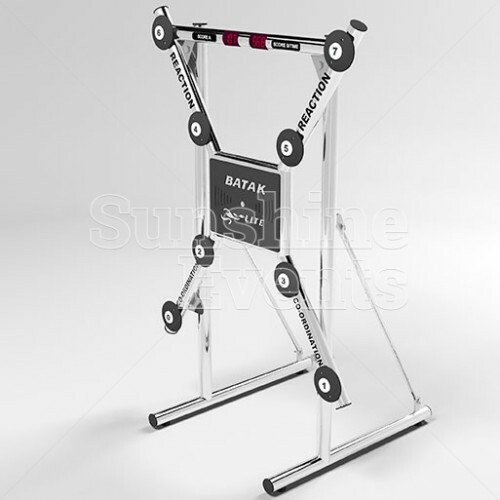 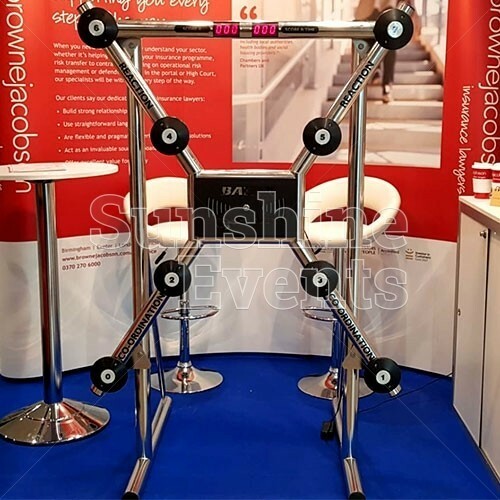 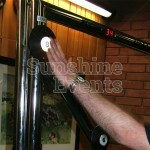 Batak Lite Hire has been added to your Event Quote.